Cooperation in fighting terrorism intensified among EU countries after the 2001 World Trade Center attacks in the US, and even more so after the Madrid and London bombings in 2004 and 2005. “In reaction to 9/11, the EU developed the European Arrest Warrant. But we need to do more,” said Donald Tusk, the President of the European Council which brings together the 28 EU heads of states and government. Tusk was reacting to the January 2015 assault on the satirical paper Charlie Hebdo, and the subsequent terrorist attacks in Paris, in which 17 people were killed. Immediately after the Paris attacks, European officials pledged to reinforce cooperation in the fight against terrorism. One key issue to be discussed is a proposal for EU states to share records of air passengers – or PNR – a measure that has been held up in the European Parliament over privacy concerns. The PNR row illustrates the potential tradeoffs between anti-terrorism measures and the protection of individual freedoms and civil liberties. The dark side of anti-terrorism cooperation came under the spotlight in December last year, when the US Senate declassified a report which confirmed the use of torture against suspected terrorists. The report also confirmed the participation of some EU countries in flying terrorist suspects to secret interrogation centres operated by the Central Intelligence Agency (CIA). Critics in the European Parliament argue that the CIA rendition affair illustrates the need to put up safeguards in order to place justice and police cooperation at the European level under close democratic scrutiny. 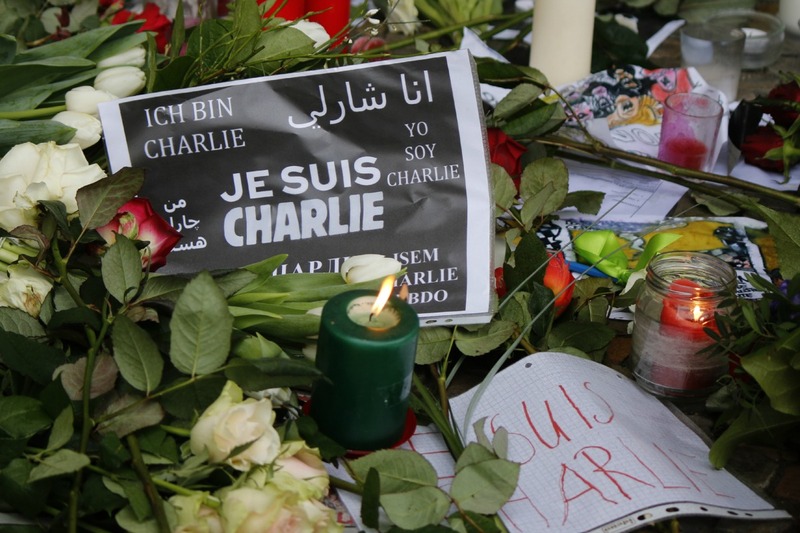 Priority focus on "foreign fighters"
European Union governments and officials are discussing possible responses to the deadly shooting at satirical paper Charlie Hebdo, and subsequent terrorist attacks in Paris. French interior minister Bernard Cazeneuve said that the EU’s anti-terrorism legislation needed strengthening to help counter similar attacks in the future. Hampering the travel movements of terrorists, including so-called “foreign fighters” and European nationals crossing the EU’s external borders. Countering terrorist propaganda, particularly on the Internet, in order to tackle the root causes of radicalisation among young people. The meeting, which brought together the interior ministers from all 28 EU countries, and the United States, committed to “enhance cooperation in the field of law enforcement” and implement measures to “reduce the supply of illegal firearms throughout Europe”. Intelligence sharing on firearms operations across Europe “will be increased”, the ministers announced in a statement. They also pledged to “improve the effectiveness” of intelligence sharing related to the movement of foreign terrorist fighters. Cooperation within Europol, Eurojust and Interpol should also intensify, as well as the exchange of relevant information between European police forces, the ministers said. Specific measures are also underway for the countries that are members of the border-free Schengen area. “We are of the opinion that the rules of the Schengen Borders Code should be amended in a timely fashion to allow for broader consultation of the Schengen Information System during the crossing of external borders by individuals enjoying the right to free movement,” the ministers said. Ensuring that checks on persons at external borders become more systematic or harmonised is already considered a priority by EU Interior Ministers. Some EU countries have already taken steps to investigate and prosecute foreign fighters before departure (if a crime is already in place) or upon their return. A number have also decided to use administrative measures to prevent or disrupt travel to Syria, Yemen and other countries where would-be Jihadist can receive training. A key aspect of the EU response to the Charlie killings is an attempt to revive an EU proposal on Passenger Name Records, or PNR, a single registry of air traffic data. An EU-PNR system “can help in detecting the travel of dangerous people,” stated Donald Tusk, the President of the European Council, saying “This can be our common initiative” in response to the Charlie killings. According to the Commission proposal, 60 different categories of PNR data should be collected, including contact information, travel routes, computer IP-addresses, hotel bookings, credit card information and diet preferences. The data could greatly help investigators tracking terrorists across borders. Currently up to 16 EU countries have decided to collect PNR data, according to Timothy Kirkhope, a British Conservative MEP who steers the file through Parliament. But because there is no EU framework, he said, “airlines have no clarity on how to process the data, and passengers have no clear EU-wide rights to protect booking information such as credit card details, seat number and emergency contact”. Above all, reaching agreement on PNR with the European Parliament is unlikely to prove an easy task. Sophie in ‘t Veld, an influential Dutch MEP who tracks privacy and anti-terrorism policies for the Parliament’s liberal ALDE group, said she was “sceptical” about the renewed push for an EU-PNR system. She called for “new safeguards” to be adopted in parallel with any new EU anti-terrorism initiative that could encroach on the privacy and individual freedoms of European citizens. In Parliament, the European Conservatives and Reformists (ECR) group, led by the British Tories, voted in favour of the PNR directive in 2013, alongside the centre-right European People’s Party (EPP), the largest group in Parliament. But they were defeated by an alliance of leftists, socialists, greens and liberals, who called for greater protection of individual freedoms against potential abuses. Overall, the drive to deepen European cooperation in the fight against terrorism is welcomed by most Members of the European Parliament. Guy Verhofsdatdt, the leader of the ALDE group, even said it was “long overdue”. However, most agree safeguards need to be put in place so that EU anti-terrorism initiatives do not threaten individual freedoms and democracy. “We must not minimise our freedom of thought or revise downward our European values in the face of violence and Kalashnikovs,” said Martin Schulz, the President of the European Parliament. “Parliament has been very clear: our consent cannot be unconditional,” In ‘t Veld declared in response to calls for swift agreement on PNR. Besides, she said it was “distasteful” to suggest that the Charlie attacks could have been prevented by an EU-PNR system, saying the two were “totally unrelated”. “All the information on the terrorists was there,” In ‘t Veld stressed, saying more could have been done by simply applying existing legislation. In many cases, she explained, terrorists were known to the security services before the attack but the services failed to share information or use it altogether. “Instead of the Pavlov reflex of calling for more data collection, we should focus on better information exchange and better cooperation,” added Guy Verhofstadt, the leader of the ALDE group. To sceptics, even a strengthened PNR system may well fall short of what’s needed to tackle terrorism effectively at the European level. Cooperation on justice and criminal matters is often described as the Achilles’ heel of EU integration, where information exchanges between member countries is uneven and patchy. Jean-Claude Juncker, the President of the European Commission, reiterated that anti-terrorism policies remain primarily a national competence where the EU has limited powers to act. Coordination between national governments and security agencies can be improved, he added however, saying that “interconnections” could be put in place between national authorities to fight terrorism “in a preemptive way”. Existing EU initiatives include an Internal Security Strategy, which runs from 2010 to 2014. The strategy will be updated in 2015 with a European Agenda on Security, the Commission announced. The Schengen Information System (SIS), which allows for easy information exchanges between national border control, customs and police authorities. The Radicalisation Awareness Network (RAN), which brings together social workers, police, prison or probation officers and teachers from different countries and backgrounds. The US Terrorist Finance Tracking Program ('TFTP Agreement') which is in force since August 2010. But meaningful progress would require much bolder European moves, according to some. Matteo Renzi , the Italian Prime Minister, suggested the EU should do a lot more and set up its own intelligence agency in order to effectively tackle the terrorist threat. "We have the common currency and we must also have a common security and intelligence system. Europe must be united against terrorism," the Italian PM said, according to Italian media reports. The ALDE group, which leads the debate on individual freedoms in Parliament, called for a European Democratic Governance Pact (DGP) that would include a set of “tools” to strengthen democracy, the rule of law and fundamental rights in the European Union. Such bold initiatives will be a red flag for some national governments keen to protect their prerogatives against perceived EU “power grabs”. Denmark for one has a blanket opt-out on all matters related to justice and home affairs (JHA) cooperation and won’t be tied to any EU agreement without first clearing the way by holding a national referendum on the issue. Even selective cooperation on individual directives like the PNR system would require a referendum, Danish officials say, which won’t happen before 2016. Britain for its part is in a process of re-assessing its entire relations with the EU and will be reluctant to agree anything involving greater EU powers in this area. David Cameron’s Conservative government once considered imitating Denmark by pulling Britain out from all JHA legislation at the European level, but finally changed course. A blanket opt-out was decided as initially announced on 1 December 2014 but the UK immediately re-opted in to 35 different pieces of JHA legislation, including the European Arrest Warrant and Europol, UK officials told EURACTIV. Ireland too does not fully participate to all JHA policies, and in some cases its involvement is subject to certain conditions. These shortcomings, however significant, should not mask the huge strides that have been made on justice and home affairs cooperation during the past decade. Immediate measures adopted in the aftermath of the 9/11 terrorist attacks included strengthening exchange of intelligence and increased cooperation with the US, in particular on air safety. Judicial and police co-operation was also tightened, including measures to strengthen Europol. Cooperation with key countries within the framework of EU agencies such as Frontex, Eurojust and Europol was also intensified. A regulation was adopted enabling EU member states to immediately freeze the bank accounts of terrorists across Europe and restrict their financing. The initial regulation contained a preliminary list of 27 Islamic organisations and individuals potentially involved in the 11 September attacks in the US. Asset freezes now form part of the usual set of sanctions applied to individuals and organisations – whether in Syria, Libya or Russia. An EU terror blacklist has also been drawn up and is regularly being updated, with recent additions and withdrawals including Hezbollah and Hamas. The Madrid and London bombings in 2004 and 2005 provided further impetus to the fight against terrorism at the EU level. Improve Europe's capability to respond to and manage the consequences of terrorist attacks. The appointment of an EU anti-terrorism coordinator was among the most visible initiatives adopted as part of the strategy. Belgian lawyer Gilles de Kerchove, who now occupies the position, was appointed in 2007. In this role, he coordinates the work of the Council of the EU in the field of counter-terrorism and maintains an overview of all the instruments at the Union's disposal. Gijs de Vries, his predecessor who had occupied the position from 2004 to 2007, memorably stepped down after three years in the job, citing personal reasons. In fact, his lack of actual powers had destabilised his position as it soon emerged that member states were reluctant to share information on anti-terrorism activities. It’s simply that we need 1 strong european security agency instead 28 not knowing what each other knows! Has anyone in the vast overpaid EU Bureaucracy read Bare Branches ISBN-10: 0262582643 and noted EU Policy has aided and abetted the situation. Has anyone in the vast EU Bureaucracy read Terror in the Name of God ISBN-10: 0262582643 again noting how the EU illiberal left political elites have aggravated and legitimized perceived grievances?